How is everyone doing on their scrap busting projects. I hope you're having fun finding a zillion ways to tackle those bags of scraps you've got stashed away. One small project each month is doable and stress-free. Don't overthink or plan elaborate items. Just find something you'd like to keep for yourself or an item you'd like to give away. 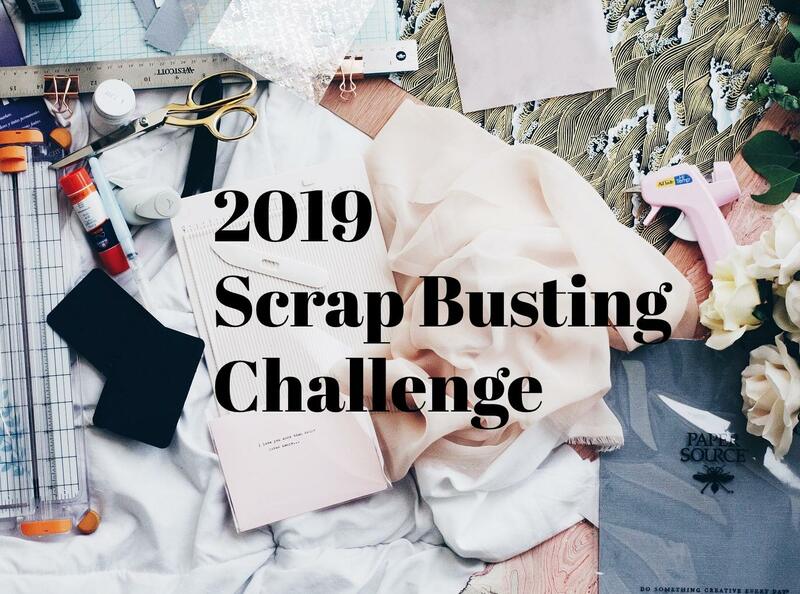 You can find some ideas in my Scrap Busting Challenge - Project Idea Series in the right sidebar. Here are the January projects that were submitted by a few of our challenge participants. They've been creative and their projects may inspire some of your own. Marsha submitted two items for her January project. She explains more about her projects in her blog post. 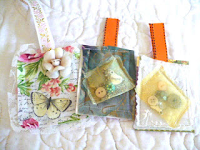 Shirlee submitted this January project. 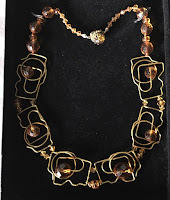 "Made with paper clips and the remnants of a beaded necklace. 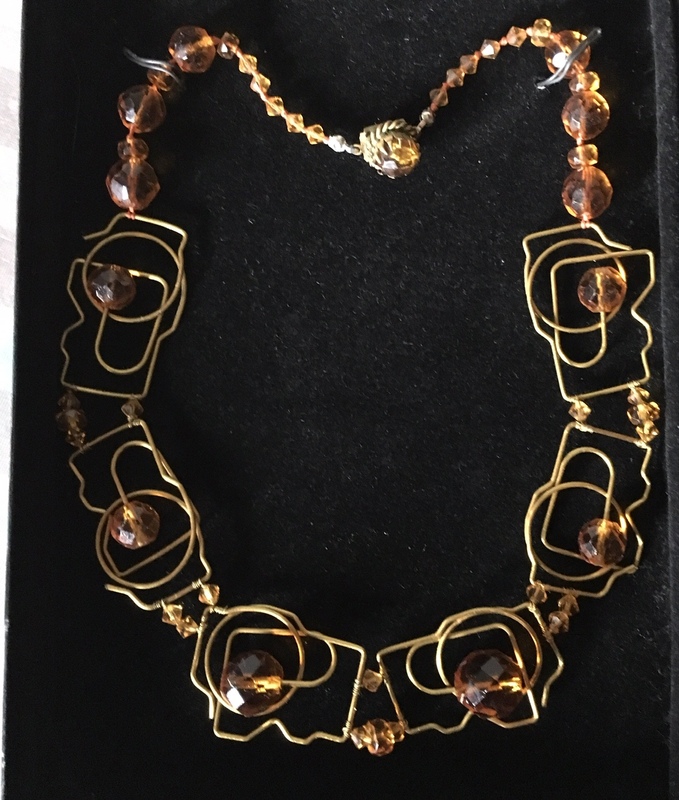 I wrapped wire through the beads and around the paper clips to attach them together." 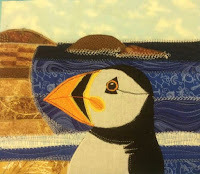 Wilma submitted this January project. 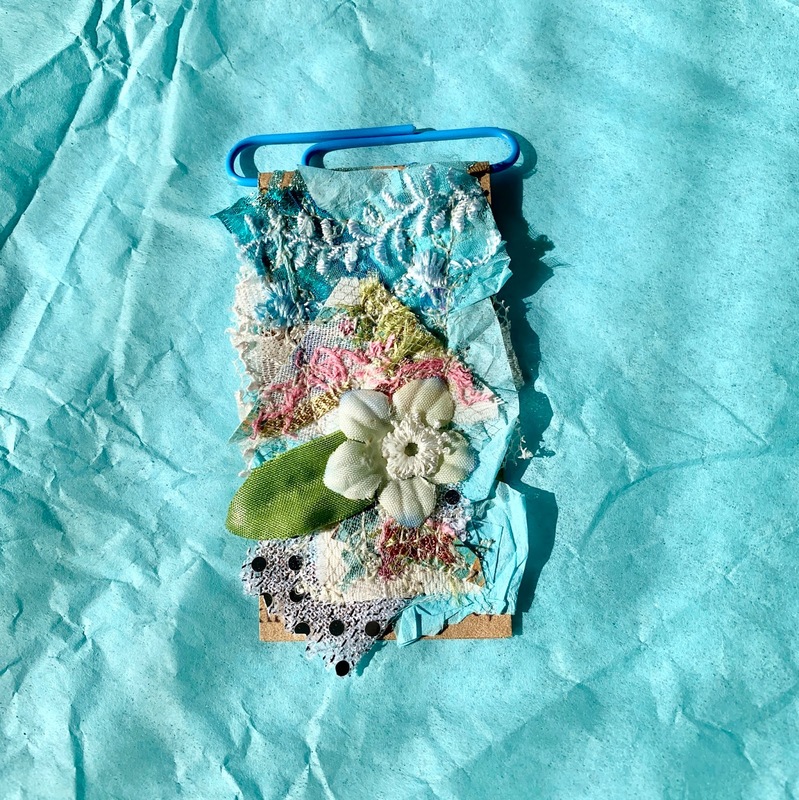 "I make a small crazy quilted pincushion in a serviette ring for the scrap busting challenge." 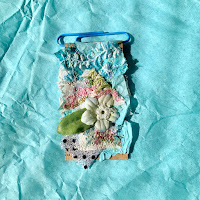 She created this mini quilt using decorative stitches and applique. 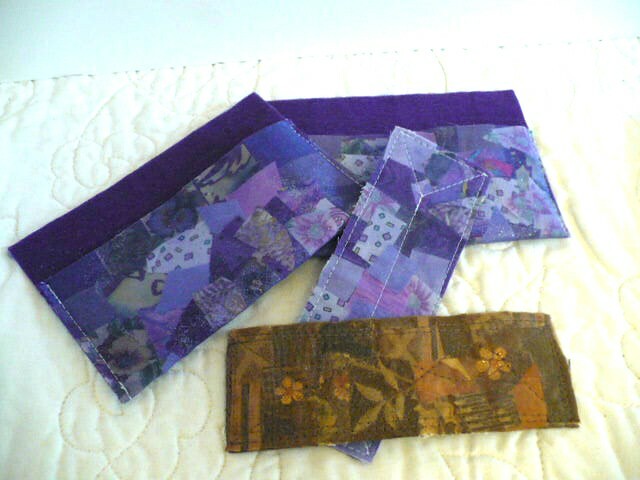 I made four of these, three to give away and one to keep.